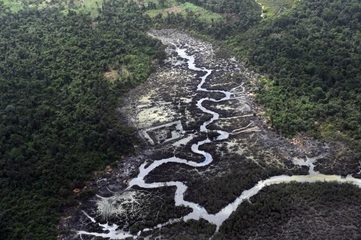 Coutless number of oil spills in the Niger Delta and immunity of the responsible oil companies. Still, late 2015, Shell was held accountable by Dutch justice. 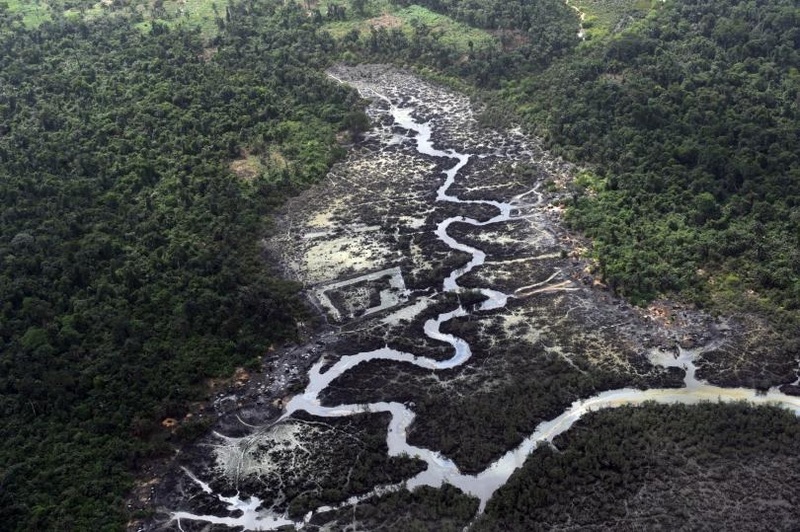 Extraction activities by multinational companies including Shell, Mobil, Chevron, Elf and Agip have caused serious environmental and social damage in the Niger Delta, an oil rich South-Eastern region of Nigeria. Crude oil extraction has caused the pollution of the river basin and surrounding land, the destruction of subsistence crops, and the expropriation of local residents territory. The opposition of local communities has been brutally repressed by police forces, resulting in bloodshed and hundreds of deaths. Local communities, supported by the Movement for the Emancipation of the Niger Delta (MEND), have continued their opposition to those exploitative policies. In particular, they demand a full clean-up of local waterways and territories, a more equitable distribution of oil revenues and broader compensation for ecological damage. Outdated equipment and unadapted supervision are at the origin of recurrent oil spills over the Delta. In 2008, four Nigerian citizens together with Friends of the Earth Netherlands sued Shell to the Hague Court. On December 18th 2015, the Dutch appeal Court stated the company can be hold liable in the Netherlands for spills occurred in Nigeria. Even though gas flaring is illegal under Nigerian law, Chevron together with Shell and other oil companies operating in the country have been doing it for decades. The repercussions on the local population and environment of such an out-dated technique are devastating. Although in 2005 the Federal High Court of Nigeria stated these practices as illegal the oil multinationals keep on doing the same. The Global Memorandum of Understanding (GMOU) signed by Chevron Nigeria Limited (CNL) in 2005, by which the company was engaging to change its way of proceeding in the delta, is denounced by the locals as not being respected by the company. Project Details Shell exports 380,000 barrels of oil a day in the 1990s. ExxonMobil produced about 100,000 barrels a day in 2010. In 2011, Chevron holds a 40% interest in 13 Nigerian concessions with in 2010, a daily production of 524,000 barrels of oil, 206 million cubic feet of natural gas . Development of Alternatives They demand a full clean-up of local waterways and territories, a more equitable distribution of oil revenues and broader compensation for ecological damage. Why? Explain briefly. The multinational companies continue extracting crude of the Nigel Delta, increasing the soil and water pollution, and other impacts.